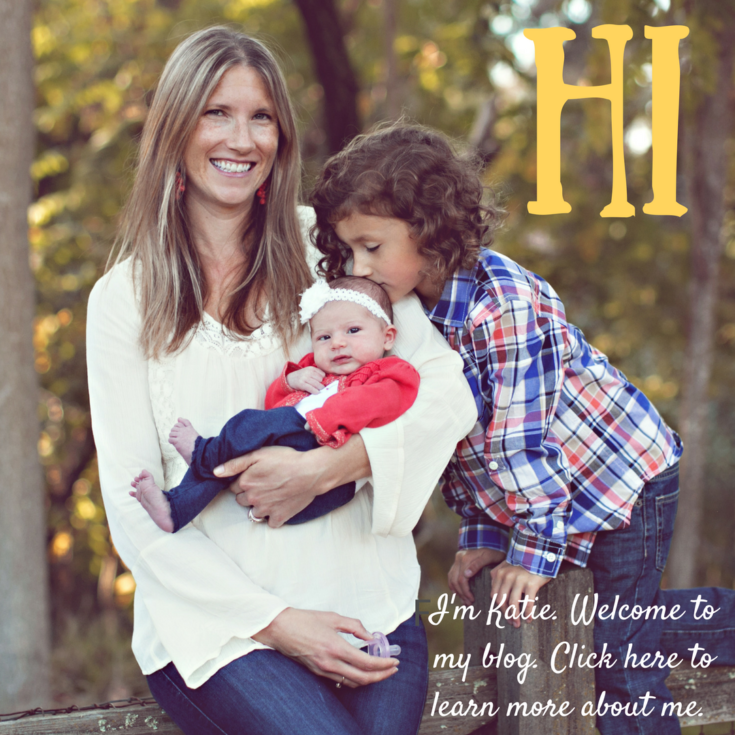 It has been a while since the last installments of my How to Help Your Child Talk series, thanks to a busy few months with our new baby, the holidays, and, well, life in general. I’m super excited to get this back up and running and have several other installments planned! If you are new to the series, be sure to check out the first three parts focussing on slowing down and being present, getting down at your child’s level, and listening with your eyes. Today, we talk about following your child’s lead. 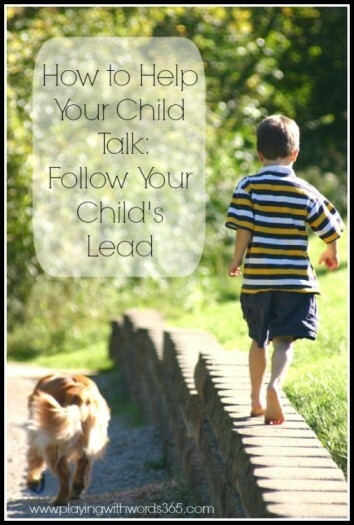 What Does it Mean to Follow Your Child’s Lead? It sounds pretty simple, but believe it or not this can be very difficult for some to TRULY follow their child’s lead. Following a child’s lead means that you are present, actively observing, and responding to your child’s interests within the activities they enjoy (like play) as within your daily activities and routines. If you have been reading along in this series, these should sound familiar. 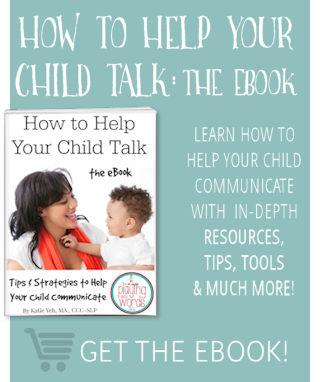 In order to allow your child to lead, you will be using the skills we have been talking about so far in this series including slowing down and being present and getting at your child’s eye level. A very important key to allowing your child to lead is to use those observations you have been making by listening with your eyes to determine what your child is truly interested in and then responding appropriately. (We will talk more about how to respond appropriately later). Trying to rush through everyday moments/routines: We are all busy these days, aren’t we? But what we sometimes forget is that it is within these everyday moments and routines that our children are learning about their world and these are the optimal opportunities to allow them to lead interactions and communicate! Not being at your child’s eye level: We don’t always have to be at our child’s eye level but when we do it allows for a better connection with our children. Listening only with your ears and not your eyes: This is a very common mistake. We need to be sure to listen with eyes, meaning we need to watch our children closely for their communication cues (nonverbal) and take the focus off the words. Asking your child question after question, including “testing” them on their knowledge (i.e. What color is this? Is this a circle? Is the car red? ): These types of interactions tend to shut down communication, rather than promote it. This is another common trap we as parents can get stuck in. Telling your child what to play with/how to play with something: Remember, this is about your child’s interests, not what you want him to be interested in. This includes allowing him the freedom to play with toys in ways that are different than intended sometimes! Ignoring your child’s interests and trying to change his/her focus: If your child is looking at the flower, talk about the flower, not the airplane flying over your head. 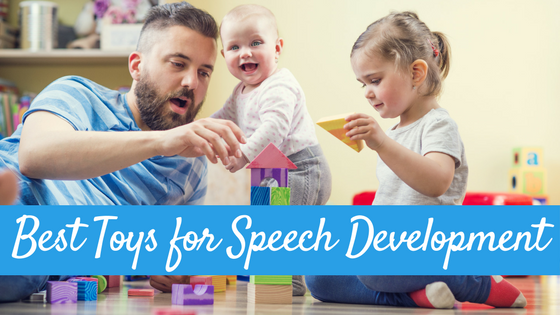 Always doing everything for your child and not allowing them to make mistakes or request help: This is especially difficult when you have a young child with a speech and language delay. 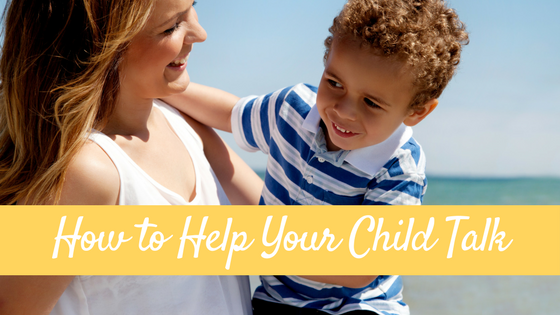 It is instinctual to want to try to help your child by getting them what you know they need or helping them when you know they need help, but sometimes we need to WAIT for them to try first! More on this in a future post. 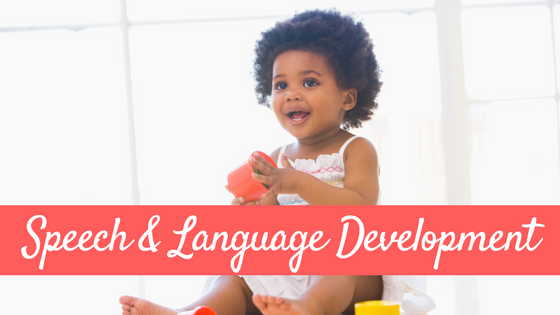 Now that we are learning how to follow our child’s lead, it is time to use that listening with the eyes skill again along with a little detective work to figure out what our little ones are trying to “say” so that we can learn to respond appropriately. That’s coming next! 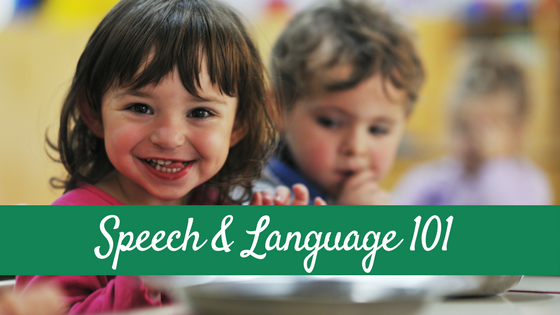 Looking for more ways to help with your child’s speech and language development? I highly recommend these two books: My Toddler Talks: Strategies and Activities to Promote Your Child’s Language Development by fellow SLP and friend Kim Scanlon and It Takes Two To Talk: A Practical Guide For Parents of Children With Language Delays from The Hanen Centre.